Blurb: “Who gives a damn about their reputation? Oh, that would be me! Especially since mine had gone straight to hell in the span of thirty minutes”. Maysie Ardin is a shallow girl. On the surface. She shops til she drops. She lets others dictate what she thinks of herself and is all around a typical sorority girl. Except she’s not. It takes meeting Jordan for to find out what she is really made of. And it’s not at all what she thought it would be. I cannot get this freaking book out of my head. I started it about a month or so ago and put it down. I wasn’t interested in Maysie as she was in the beginning of the book. I am so so glad that I picked it back up. Because if I hadn’t I wouldn’t have met Jordan. Le sigh. (Maysie turns out to be pretty cool too). It’s pretty obvious that I was never the sorority type. Never. I pretty much avoided most sorority and frat boys like the plague while I was at the University of Iowa. They had nothing to offer me but high school drama, and I was so over that. I avoided the bars they went to, and sat as far away from them in class as possible (which wasn’t hard since they barely made it to class). So not all sorority and frat people are like that stereotypical paragraph that I just wrote. And I met plenty of guys and girls that were memebers of the societies that were actual human beings and not rich, snobby, dramatic party girls/boys. I’m sure they were all nice in their own way, but I just didn’t feel like being judged like I was in high school, which a lot of these peeps did. At first this is how I saw Maysie. But as I read on more and more of her story and her personality show. I’m not sure if it’s her that grows as a character or me that grew as a reader but either way, my opinon of her completely changed by the end of the book. Sure the plot is pretty much standard for a contemp romance but the rest wasn’t. The characters were refreshing and awesome. Jordan has a violent, possessive side that is only safe for a girl like to me to love in books. He’s not violent toward Maysie, but he is incredibly jealous, and so is she. That’s another thing that sets this book apart. 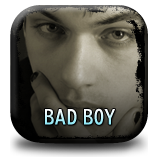 It acknowledges that his/her behaviour and relationship is not healthy. They both realized by the end of the book that they needed to work on trusting each other. Overall a wonderful Contemp that I will re-read if I get the chance.